This superb set of typically ebullient Horace Silver tunes was recorded on 13th and 14th July 1962. ‘Tokyo Blues’ followed a successful tour of Japan by the Horace Silver Quintet. ‘Tokyo Blues’ is Horace at his best. The sheer natural exuberance and delight is evident throughout. Whilst the Japanese influence is evident, Silver’s natural Latin influence is as prominent, if not more so. Cuts like ‘Too Much Sake’ and ‘Ah! So’ are marvellous early sixties Jazz grooves. 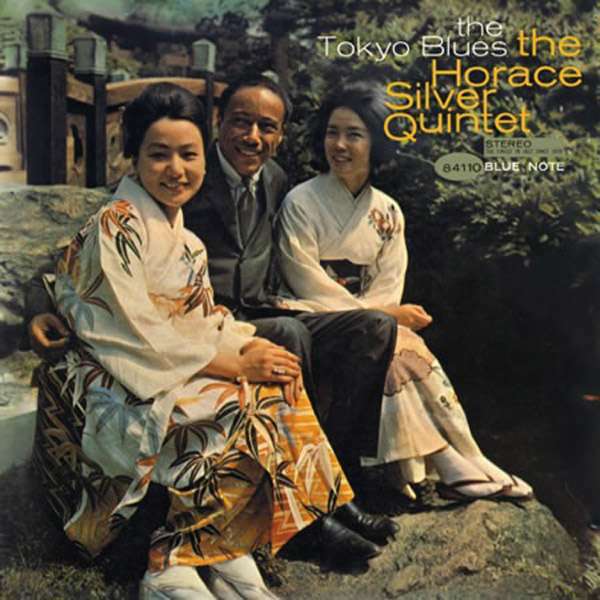 ‘Tokyo Blues’ is classic Blue Note and one of those compositions that is instantly recognisable. Stand out is the thunderous ‘Sayonara Blues’; the horn lines are awesomely powerful courtesy of Junior Cook and Blue Mitchell. It is however Horace Silver’s piano playing that steals the show. ‘Tokyo Blues’ is proof if any were needed that Jazz is accessible to all.